We have helped more than 1500 home owners to solve their home comfort problems. Save today with special offers and more! 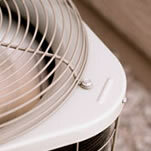 Heating, air conditioning and air quality services. We're here for all your HVAC and Plumbing needs. Covenant Heating & Air, LLC has been in business since May 2004. We provide superb professional installation of Air Conditioners, Gas Furnaces, Heat Pumps, Duct Work, Humidifiers, Programmable Thermostats, Digital Thermostats, and Commercial HVAC Equipment. We also offer licensed plumbers to take care of all your remodeling and plumbing needs.